For business or pleasure, this high-quality and easy-to-use SVGA , 3.600 -lumen Bright Business projector works equally well at education environments or at Work. An SVGA , 3.600 Lumens Bright DLP Projector with a vast range of adjustment, and BrightEra for higher quality colour and a longer lifespan and superior images and a long-lasting, low maintenance performance. The best choice in medium-sized spaces with this projector. Perfect for lights on viewing and a vibrant picture for all conditions. Add more depth to your image with outstanding colors and exceptional black and white contrast performance. The image comes alive and text appears crisp and clear. Via the extended Lamp Life Mode (Eco+), to maximum the projector efficiency with Low TCO. The built-in USB power output (5V/1.5A) can be utilized to provide power for your streaming dongles such as Chromecast, HDCast Pro, or mobile devices. Charge your mobile devices simply by plugging in your USB charging cable. With an optional HDCast Pro dongle, you can wirelessly connect to your laptop, tablet or mobile device and share your streaming videos, photos or documents to the big screen. Especially designed for business and education environments, up to 4 computers can project the content simultaneously. A powerful integrated 10W speaker allows your content to be heard clearly and is easy to set up without purchasing external speakers. 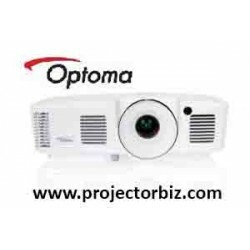 You can buy Optoma SA500 online in Malaysia on www.projectorbiz.com, the best price and after sales services.